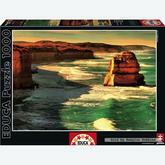 A 1000 pieces jigsaw puzzle made by Educa (reference 15990). Size: 68 x 48 cm (= 26.8 x 18.9 inch). Special series: Genuine. A 1000 pieces jigsaw puzzle made by Schmidt (reference 59286). Size: 94 x 32 cm (= 37.0 x 12.6 inch). Special series: Mark Gray. In stock and ready to ship out. A 1000 pieces jigsaw puzzle made by Castorland (reference 103003). Size: 68 x 47 cm (= 26.8 x 18.5 inch). In stock and ready to ship out. 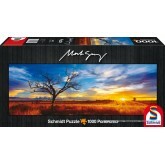 A 1000 pieces jigsaw puzzle made by Schmidt (reference 59289). Size: 32 x 96 cm (= 12.6 x 37.8 inch). Special series: Mark Gray. In stock and ready to ship out. A 1000 pieces jigsaw puzzle made by Schmidt (reference 59290). Size: 94 x 32 cm (= 37.0 x 12.6 inch). Special series: Mark Gray. In stock and ready to ship out. 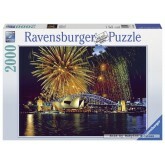 A 2000 pieces jigsaw puzzle made by Ravensburger (reference 166220). Size: 98 x 75 cm (= 38.6 x 29.5 inch). In stock and ready to ship out. A 1000 pieces jigsaw puzzle made by Schmidt (reference 59287). Size: 94 x 32 cm (= 37.0 x 12.6 inch). Special series: Mark Gray. In stock and ready to ship out. 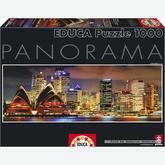 A 1000 pieces jigsaw puzzle made by Educa (reference 15994). Size: 96 x 34 cm (= 37.8 x 13.4 inch). Special series: Panorama.